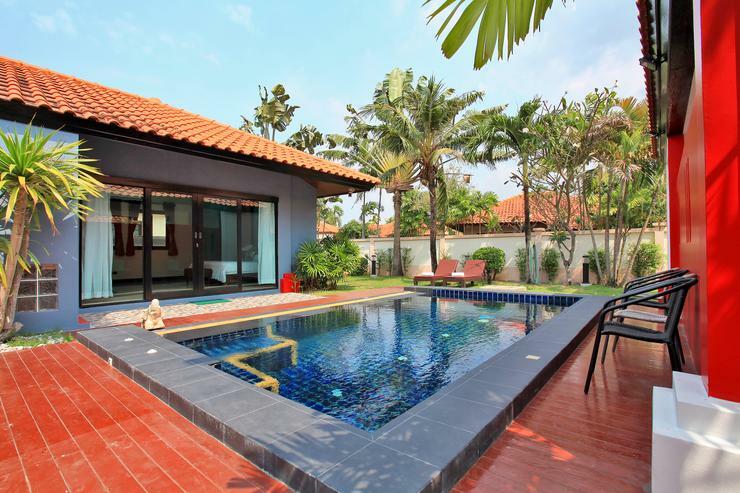 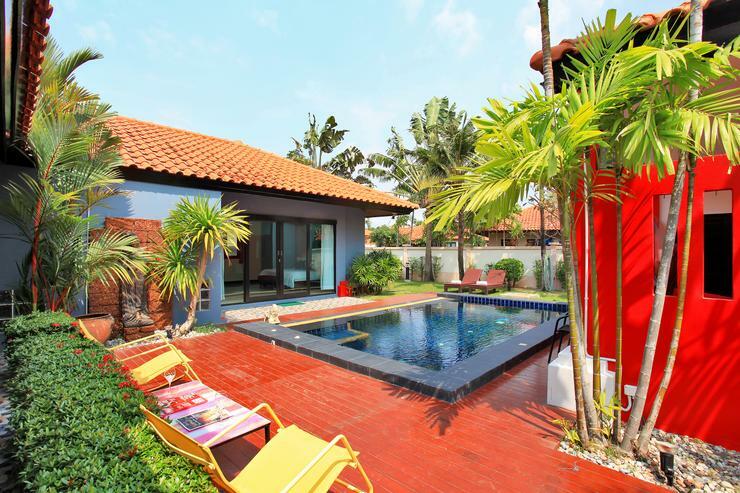 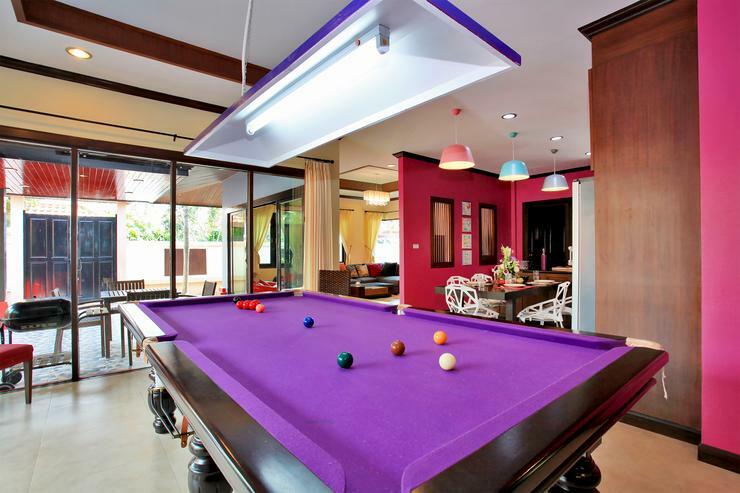 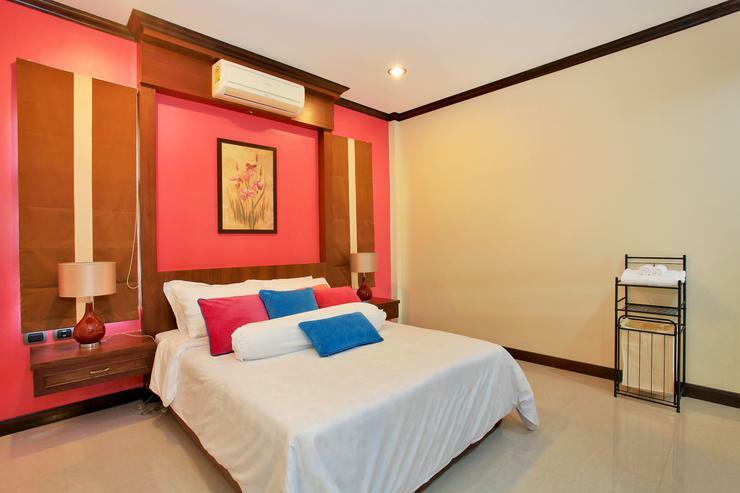 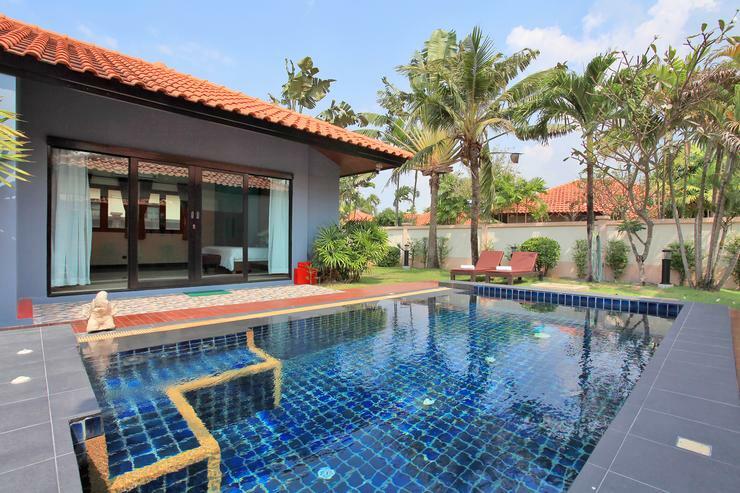 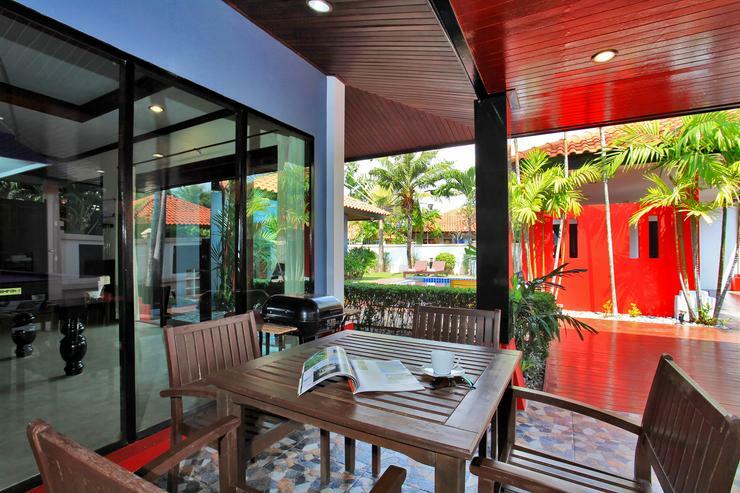 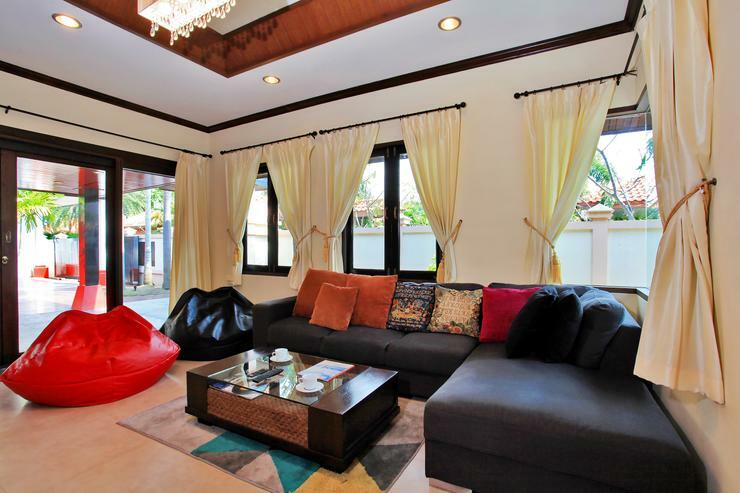 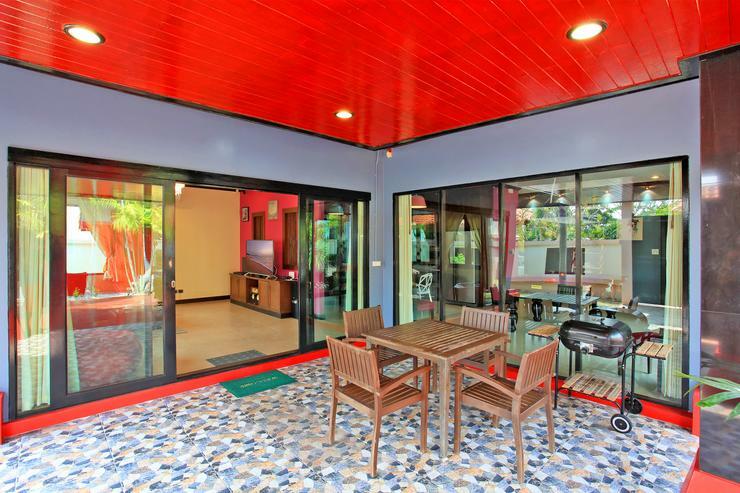 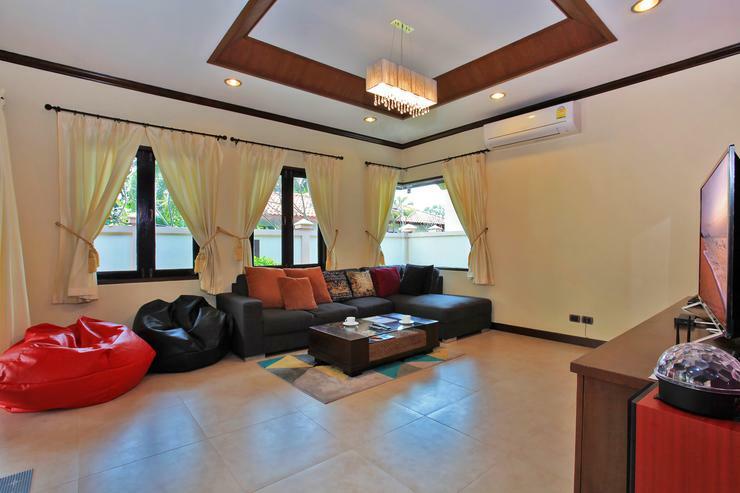 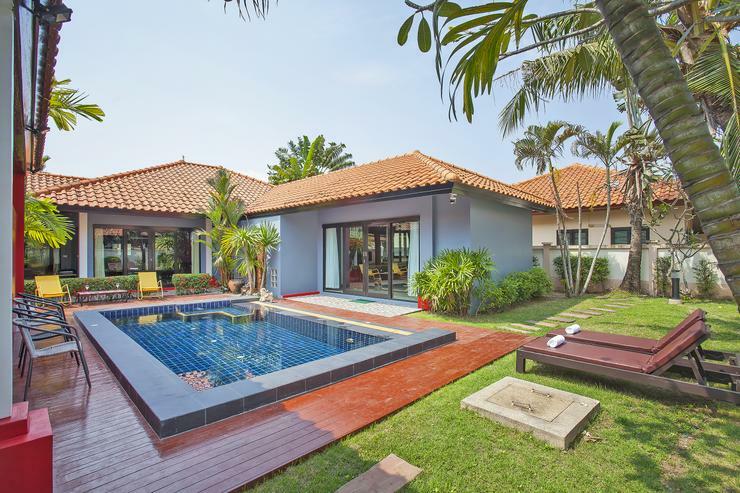 Fandango Villa is situated in an area called Na Jomtien, which is a 5-minute drive to Jomtien beach and approximately 10-minutes into Pattaya. 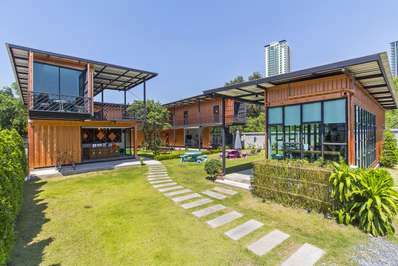 World-class Pattaya tourist attractions such as Mimosa, Underwater World Pattaya and Pattaya Floating Market are all just a 5-minute drive away. 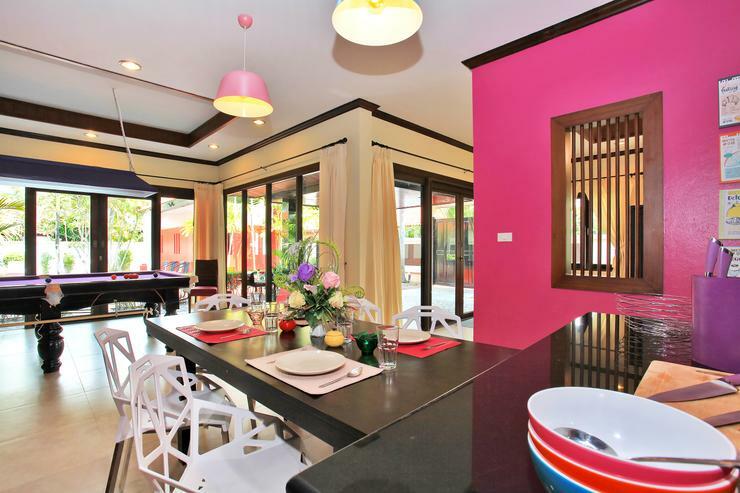 This is a location that merges a laidback atmosphere with convenience. 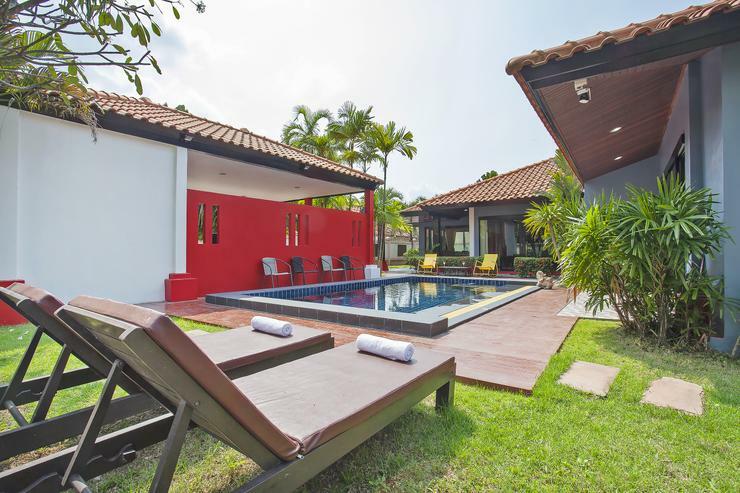 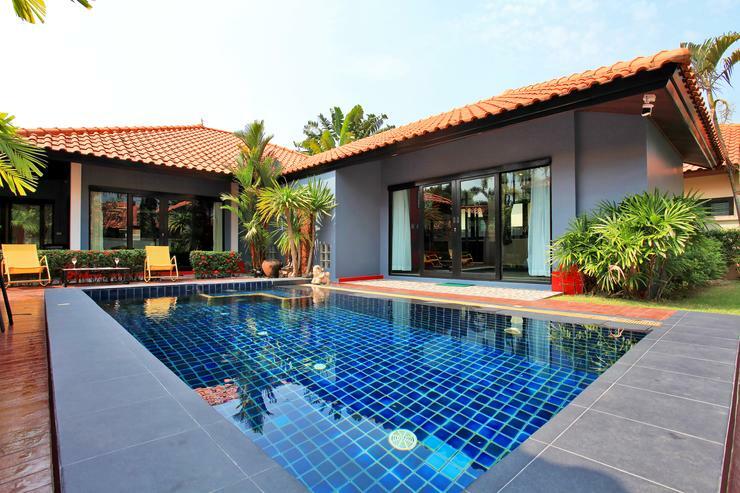 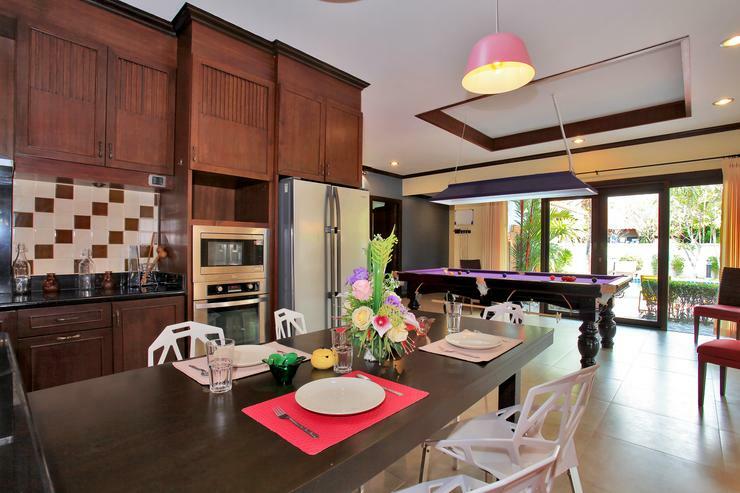 This stylish modern villa is located in a private estate within a short drive (5-minutes) to Jomtien Beach. 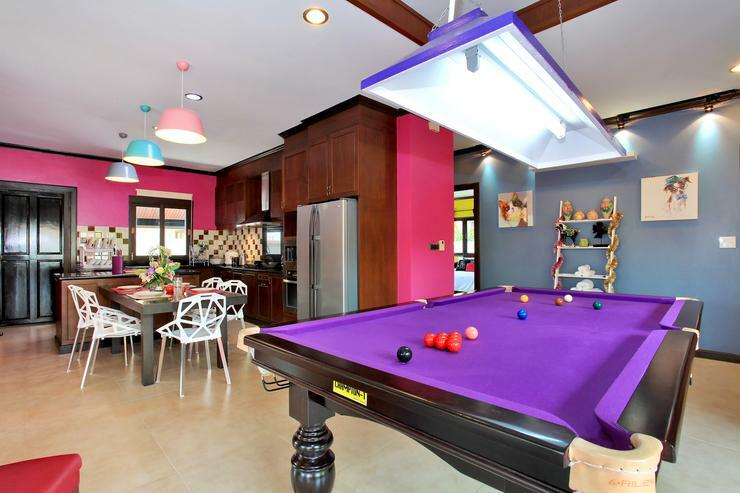 Enjoying an ultra-private atmosphere, the villa is secluded and enjoys a luxury interior design using lots of stunning dark pinks and purples. 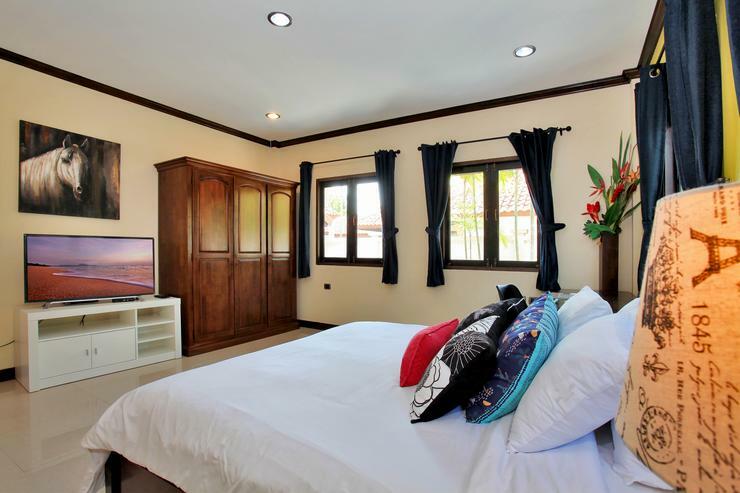 The villa has 3-bedrooms in total that sleeps up to 6-people and offers the perfect environment for couples, singles, small families and groups of friends who are looking for quality. 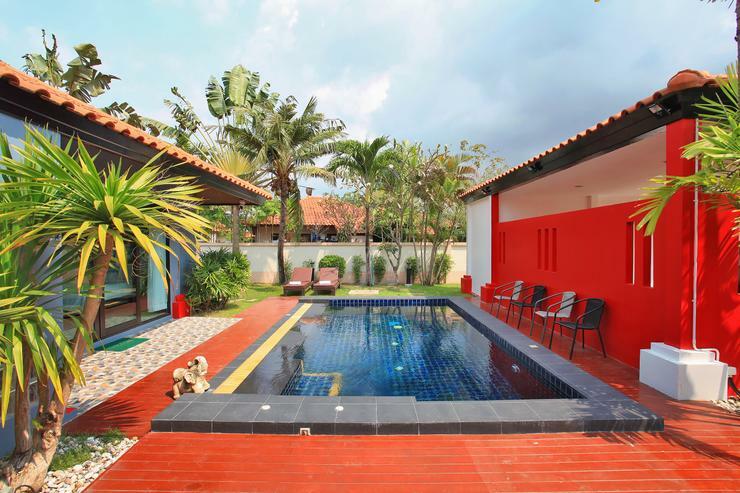 Surrounded by a perimeter wall, once you find your way inside, you are greeted by a chic private swimming pool and sperate poolside buildings that are home to the main living spaces and bedrooms. 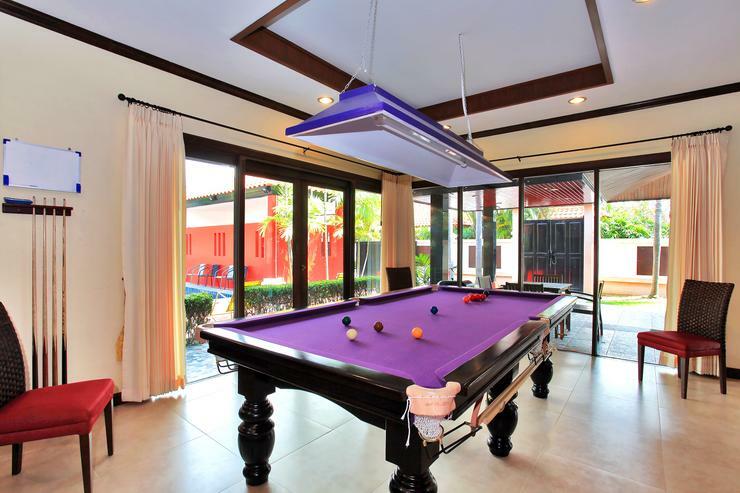 The main living space enjoys a luxury leather sofa, and a flat-screen TV with international channels in close proximity to a purple pool table that really is a joy to behold. 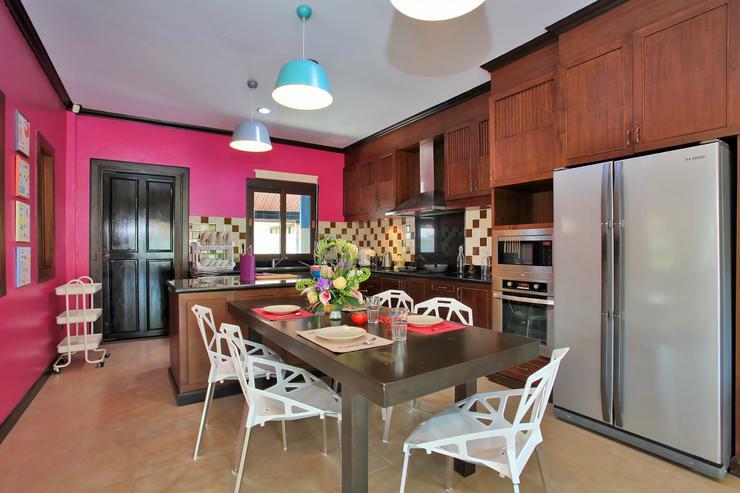 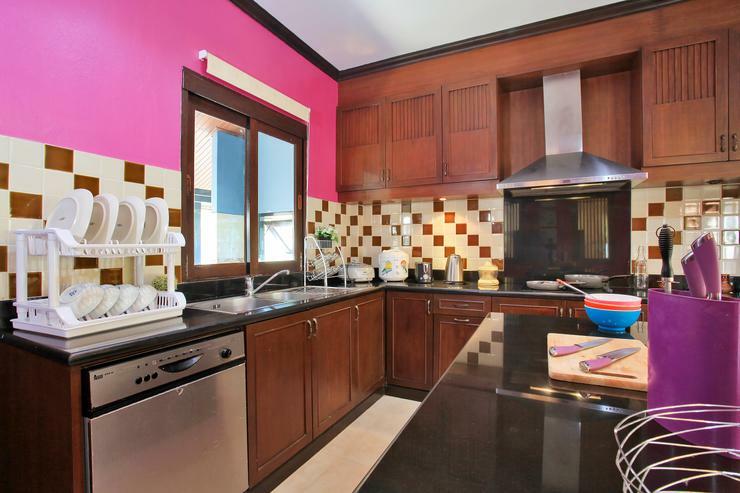 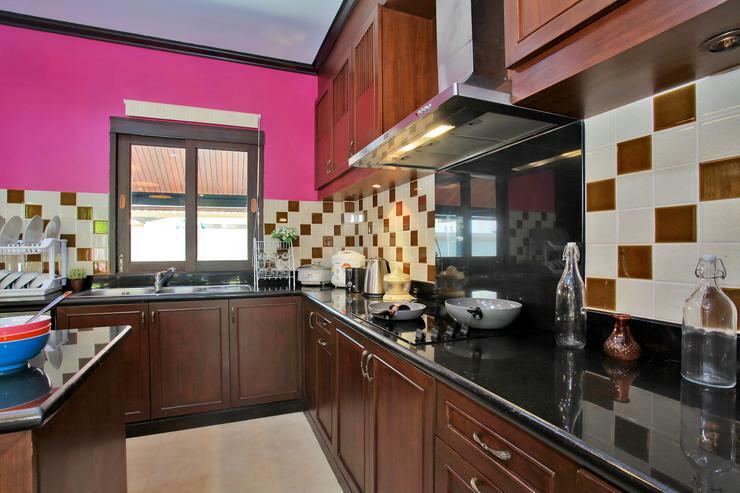 The Western-style kitchen has lots of modern appliances that lubricate the wheels of a self-catering holiday. 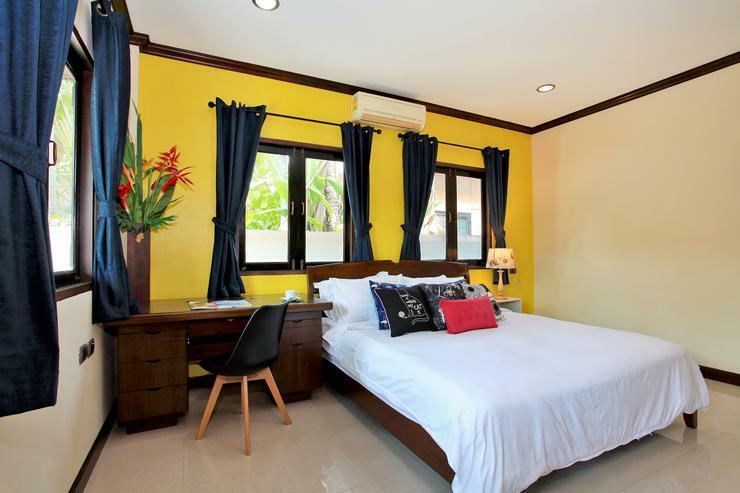 The villa has 3-bedrooms, all of which have comfortable king-size beds, large wardrobes, large flat-screen TVs and stylish ensuite bathrooms. 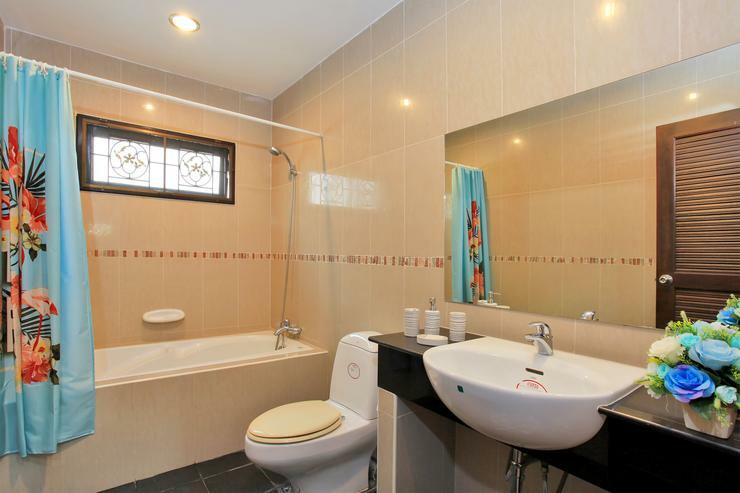 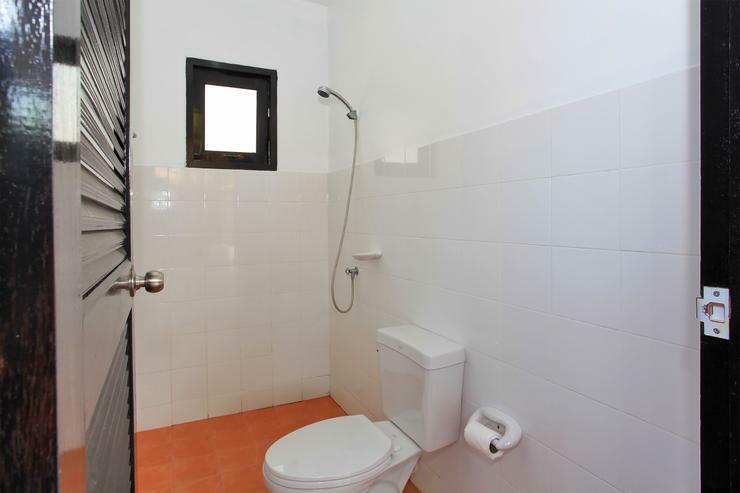 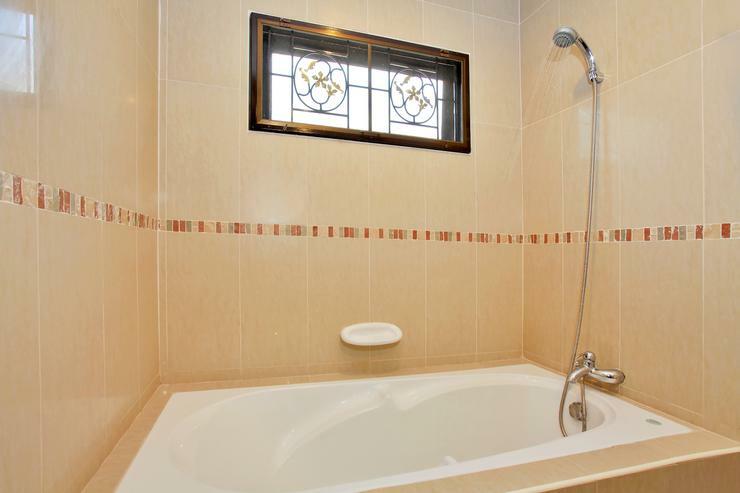 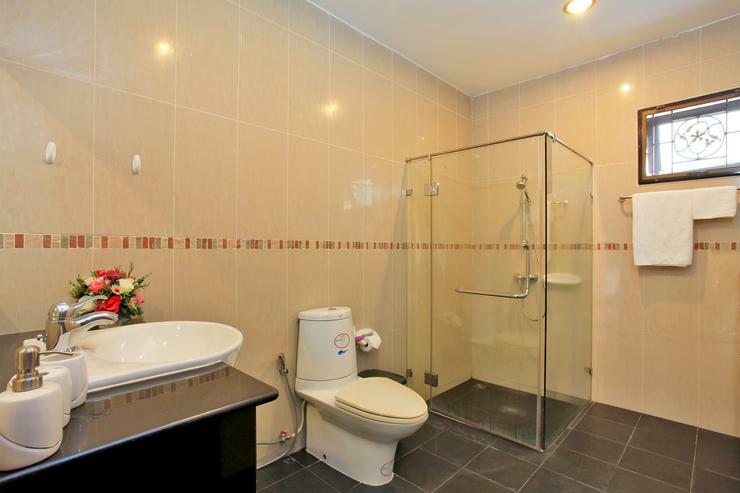 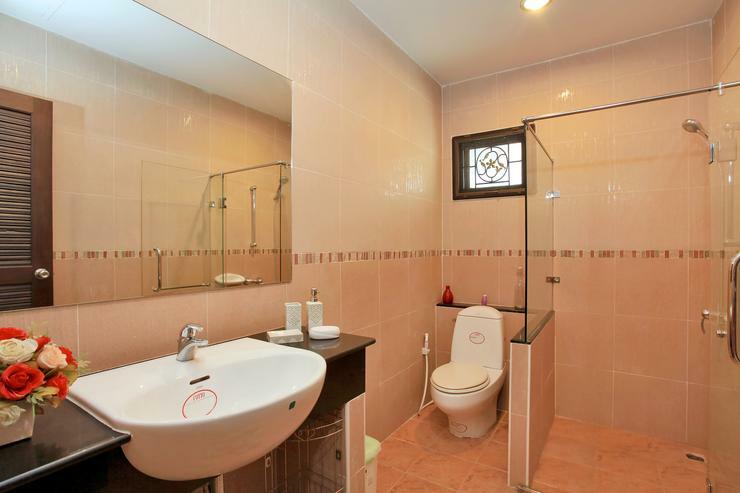 The master bathroom also has a bathtub. 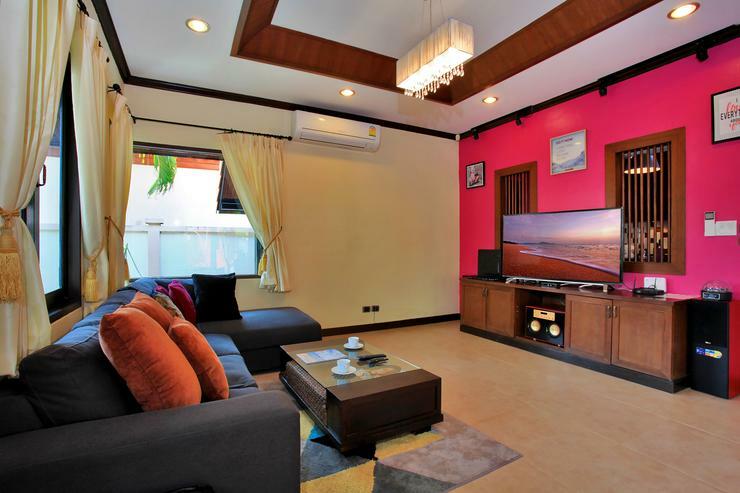 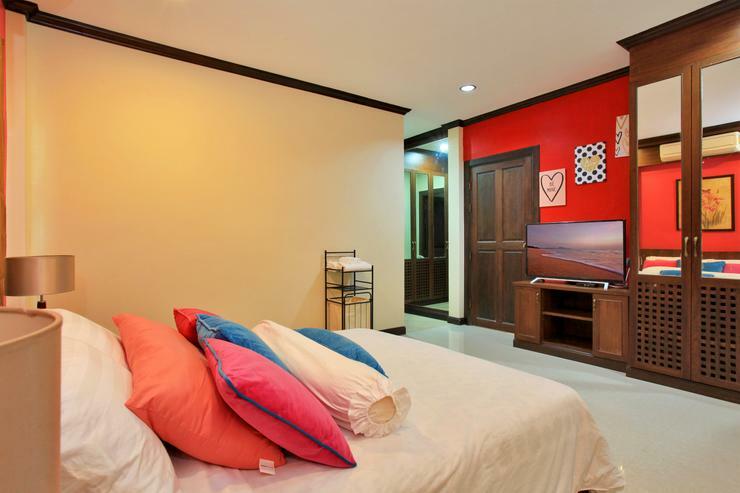 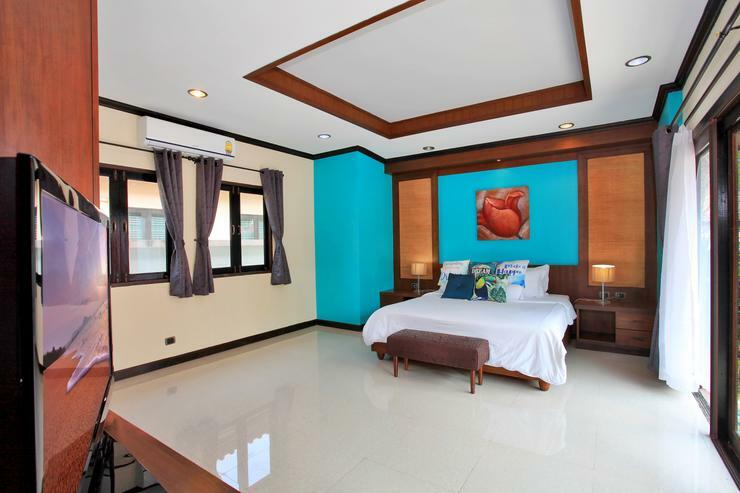 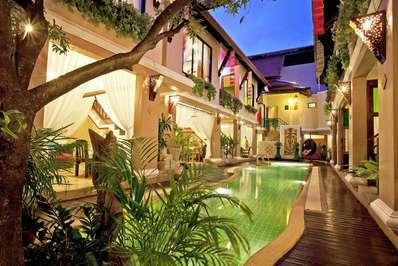 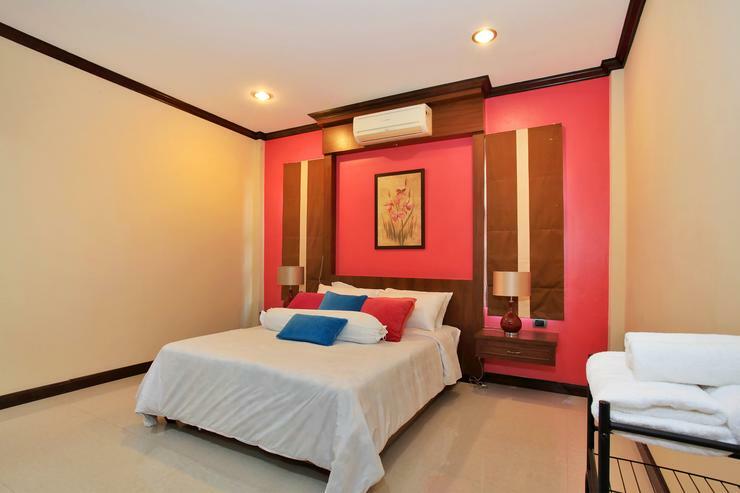 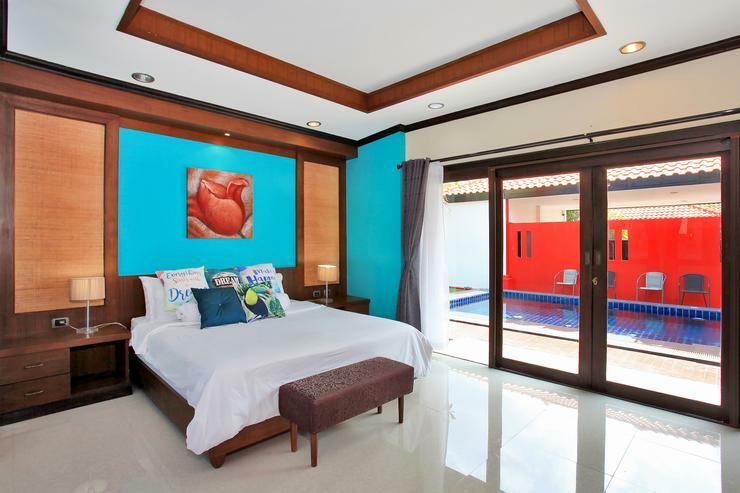 The villa is located within a 5-minute drive to Pattaya attractions such as Mimosa Pattaya, Underwater World Pattaya and Pattaya Floating Market. 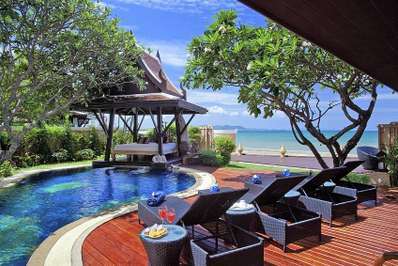 Within a 5-minute drive you can visit Jomtien beach with its lovely sands and vast cacophony of bars and restaurants where you can have an amazing night out or sample cuisine from the four corners of the globe.